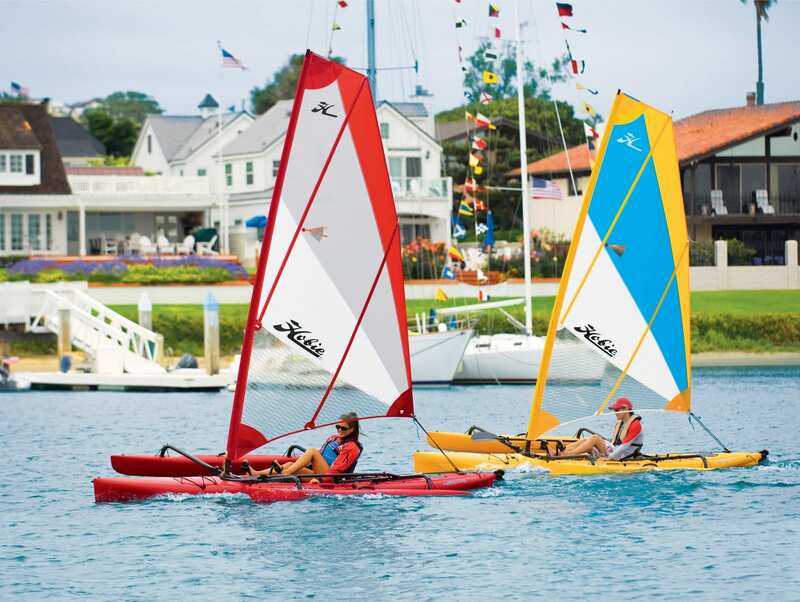 The Adventure Island blends timeless design with Hobie innovation. 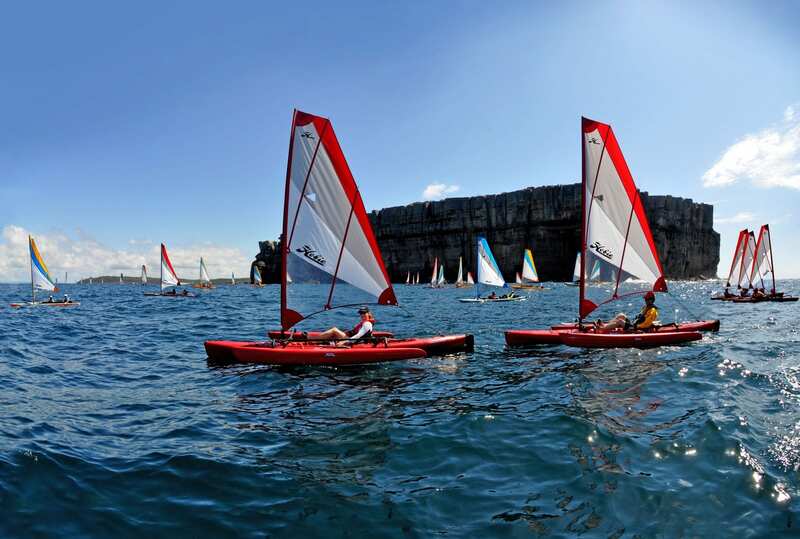 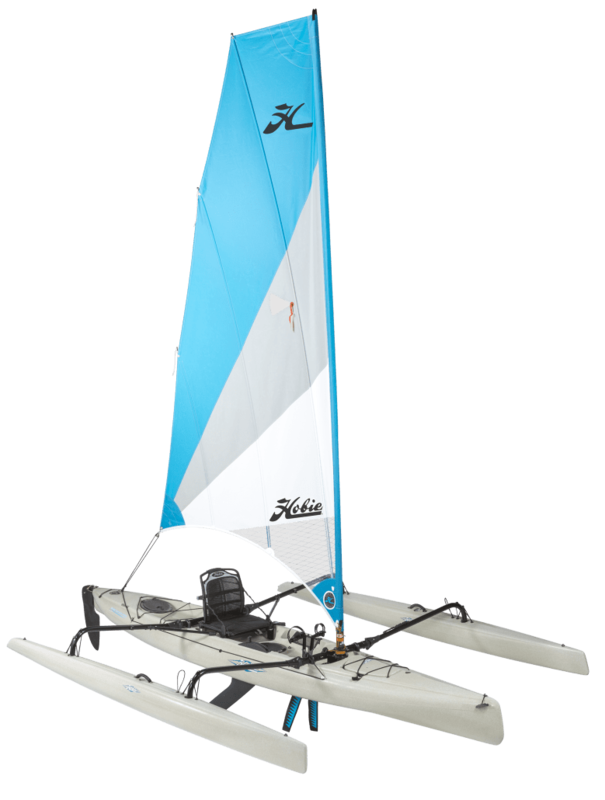 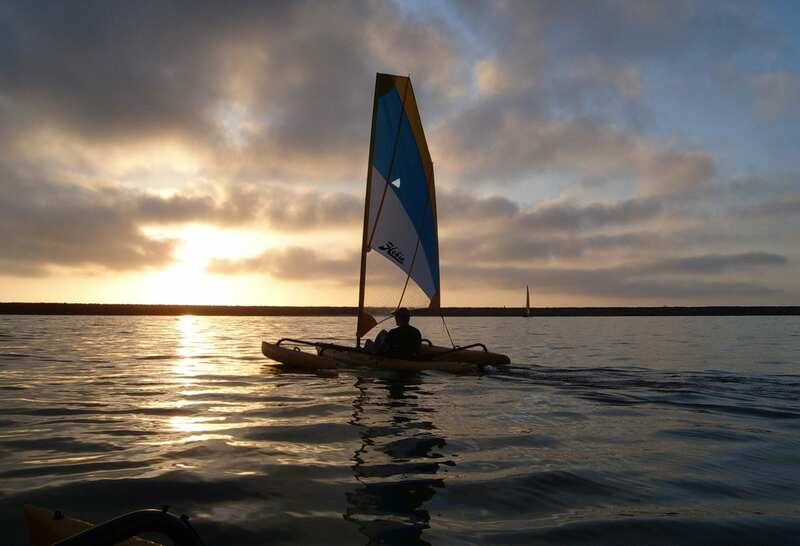 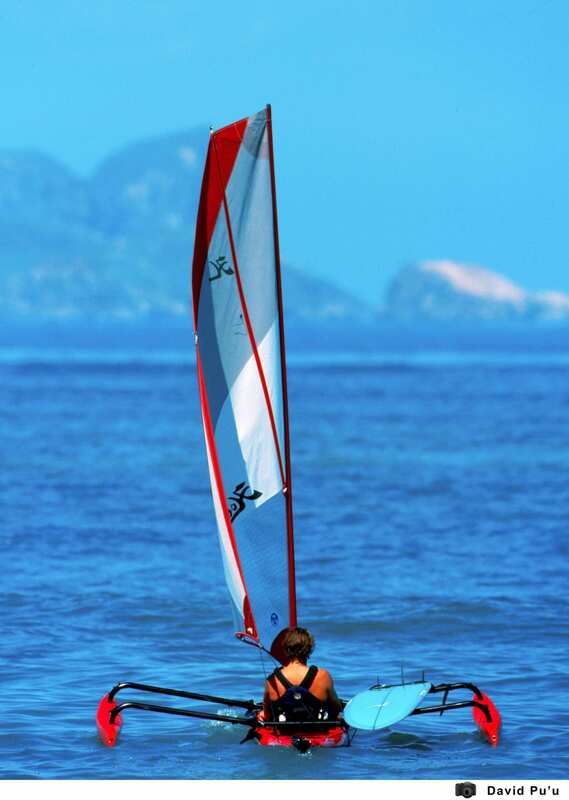 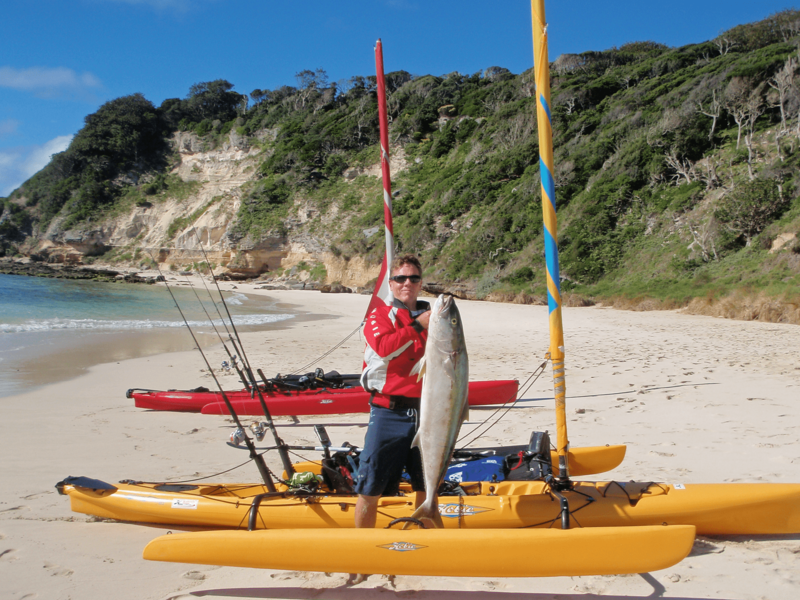 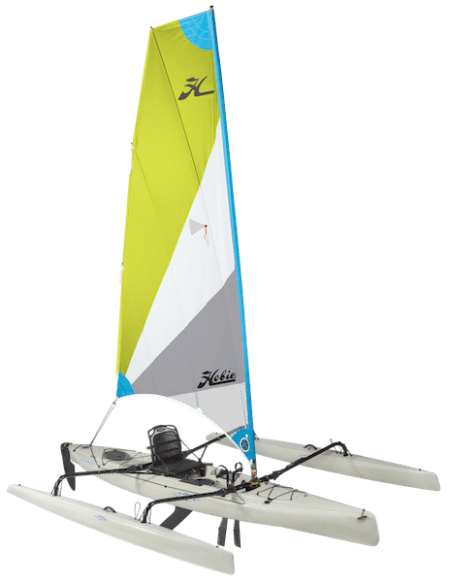 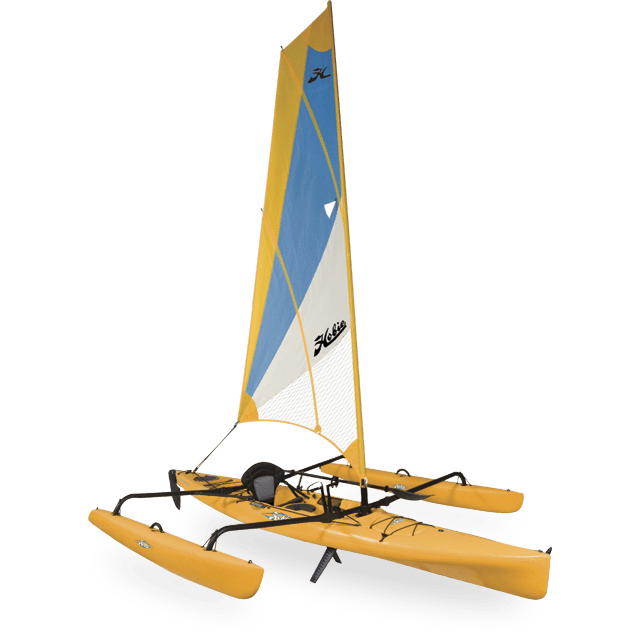 Kayaks and trimarans provide truly outstanding ways of enjoying the water—the Hobie Mirage Adventure Island combines these joys in one easy-to-use package. 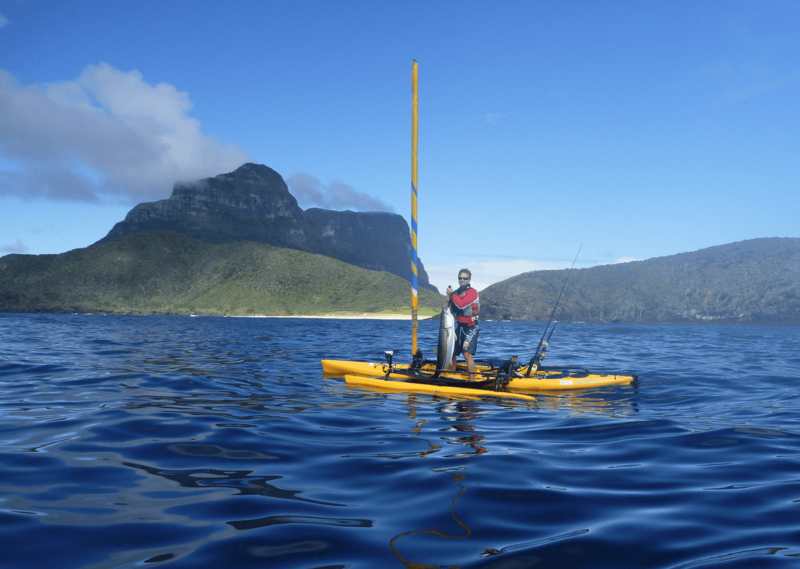 Detach the crossbars, akas and amas and you have an adventure-touring kayak; reattach it all, step the rig and you have a nimble trimaran. 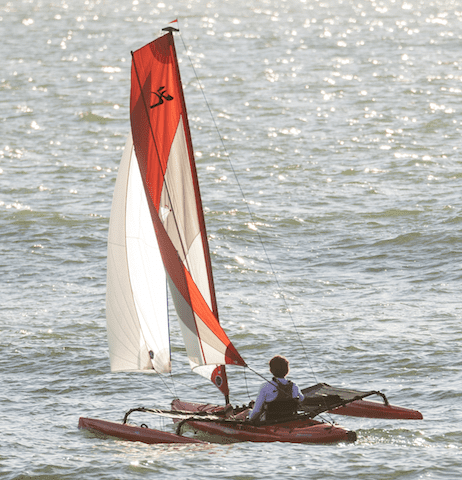 A roller- furling, vertically battened mainsail provides lift, a daggerboard prevents lateral slip, and the amas tuck parallel against the rotomolded polyethylene hull for docking. 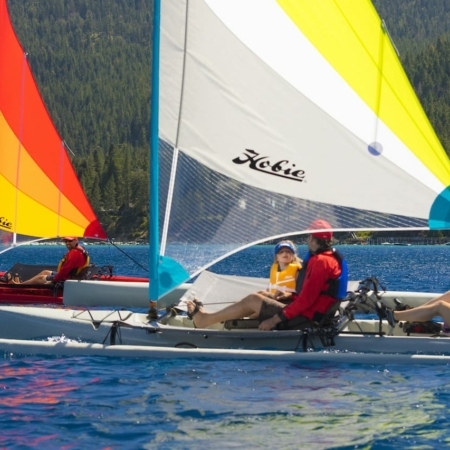 Multiple hatches and on-deck stowage encourage multi-day adventures, and the MirageDrive offers paddle-free locomotion when kayaking or when the wind scatters, making it easy to get home. 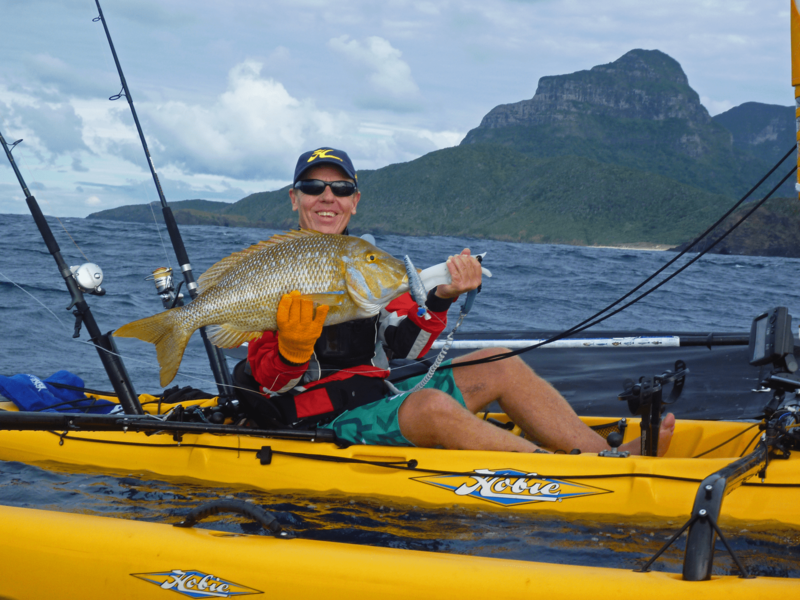 It also makes for a great fishing platform.